Sledujte s námi další XPS webinář pořádaný firmou Thermo Scientific. K účasti a ke sledování na smartphonu nebo na Vašem PC se můžete registrovat zde nebo na adresách níže. Pro další informace o XPS spektrometrech od Thermo Scientific nás kontaktujte přímo na adrese brno@pragolab.cz nebo telefonicky na +420 731 612 330 (Pavel Janderka). Register today for our webinar presentation on using automation and intelligent software to drive productivity. 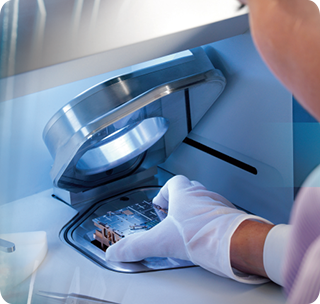 As samples stack up in the your lab, or the queue of users waiting for their turn on your XPS instrument grows longer, the ability to maximize productivity on the instrument becomes a primary concern. For many years, we have been supplying XPS instruments capable of not only automatically collecting data, but also automating the data reduction and report generation. These capabilities make complex experiments become routine, as the data system handles elemental identification, applying peak fits, and more advanced data processing. In this webinar we will highlight how these features are implemented, and illustrate with relevant examples how Thermo Scientific TM Avantage TM software, allied with one of our portfolio of surface analysis instruments, can make XPS a standard tool for materials characterization , development, and production analysis.